Vocal group "Nusha" was establishe in 2013 at Center of art and culture “Vuzrajdane” . It is formed of young and talented singers who study at Sofia University "St. Kliment Ohridski ". They all love the Bulgarian folk music inherited from their ancestors and performe with pride the songs telling about traditional Bulgarian customs, lifestyle, love and the hystory of their ancestors. The girls of Nusha have the responsible task to preserve, distribute and teach the new genrations this unique in Europe ancient music. 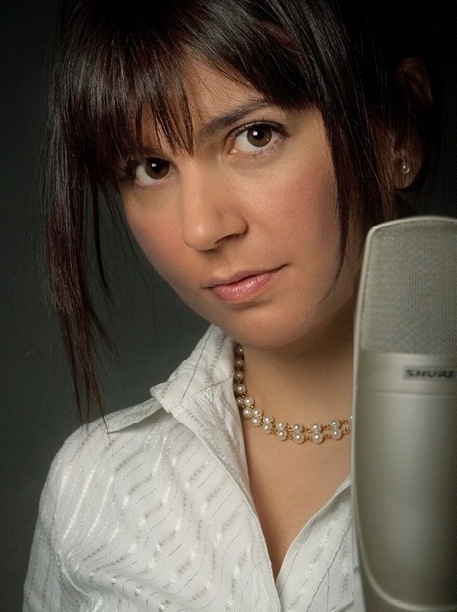 Vocal studio Nusha is lead by the folklore singer Neli Andreeva, who is soloist of the National Folk Ensemble “Philip Kutev”. The music program of "Nusha" includes songs from all folklore regions of Bulgaria, each of which has its own characteristic appearance. Their program shows the diversity of Bulgarian folklore. Last year "Nusha" won its first major award "Future of Europe" at the International Choral Festival "Sounds of the Black sea" in Balchik, where the girls were competing with nearly 20 choirs from countries from all over the Europe. Some of the choirs have many years of experience and "Nusha" with its short time of existence, was able to take its rightful place in this forum. Since they performed together, they mange to entertain the audience of number of concerts, participate in television programs and realized recordings of their songs. The group meets and works at Center of art and culture “Vuzrajdane”, the head of which is Alexander Angelov.